What Is a Good Way to Get Your Teeth White Really Fast? 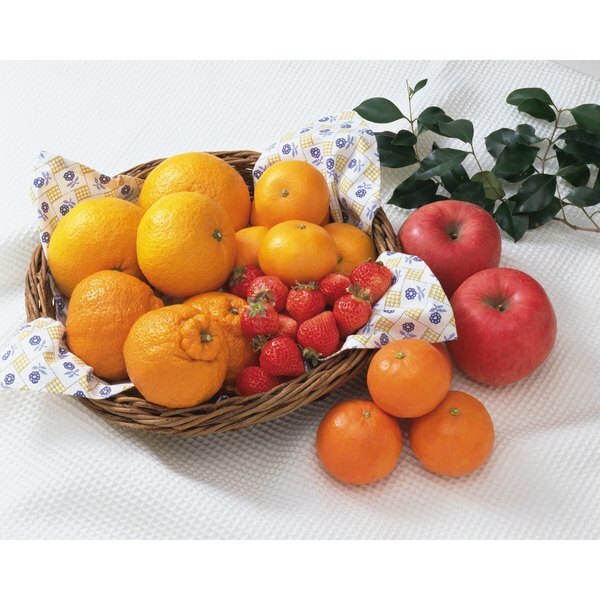 Apples, strawberries and citrus fruits can help whiten teeth naturally. 2 What Is a Good Way to Get Your Teeth White Really Fast? 3 What Natural Things Can Make Your Teeth Whiter? 4 If Teeth Are Brown, Can You Whiten Them? Most brands of whitening strips, typically sold in drugstores, work by bleaching teeth with peroxide. Some, though, contain an enamel-damaging ingredient called chlorine dioxide -- the same stuff used to clean swimming pools. If you'd rather avoid putting strips in your mouth, you have other options. Stores sell teeth-bleaching agents in a variety of forms, and you can even clean teeth naturally with certain foods. You know you're supposed to brush your teeth regularly, but when you're busy or away from home, it's easy to forget. Brushing after every meal helps whiten teeth and keeps them looking bright. Use a whitening toothpaste that contains silica -- it's a mild abrasive that gently rubs away newer stains and discoloration. It won't get rid of older or deep stains, though. If you're on the go, try a small disposable toothbrush. They're usually pre-pasted, and most don't require any water or rinsing, so you can brush teeth anywhere. It may be helpful to store toothbrushes at your workplace or in your car to remind you. Whitening gels offer the same results as strips, but they're quicker and easier to use. Some of them come in single-use vials -- just squeeze the gel on your teeth, brush for 30 seconds and rinse. Alternatively, try an overnight whitening pen. The gel stays on while you sleep and rinses off in the morning. Whitening mouthwashes are also available. Some come in powder form, so you'll need to mix with water before swishing. For something a bit higher-tech, try an LED lightening kit. To use, you'll need to apply the gel to teeth, then shine the included light into your mouth for a few minutes. The light activates the gel's whitening ingredients. You might not consider snacking a healthy activity for good oral care, but certain foods have a powerful cleansing and whitening effect. Crunchy fruits and vegetables such as apples, carrots and celery have a rough surface that scrubs your teeth clean as you chew. Better yet, apples contain malic acid, a whitening chemical that's often found in store-bought toothpaste. For even more whitening power, munch on strawberries. These red berries contain high amounts of vitamin C for plaque removal and an astringent that wipes away surface stains. Citrus fruits, including oranges, lemons, limes and grapefruit, stimulate saliva production, which helps your mouth and teeth clean. If you'd rather forgo drugstore-bought treatments, try making your own teeth-whitening solution. Cut a lemon in half and squeeze its juice into a small bowl. Add a pinch or two of baking soda. When you add the baking soda, the mixture will fizz a bit. Stir the solution well. Coat a cotton swab with the mixture, then rub it on clean teeth. Let it set for about a minute before brushing it off with a damp toothbrush. Rinse well. Don't leave this solution on for more than a minute -- lemon juice can harm the enamel on teeth. 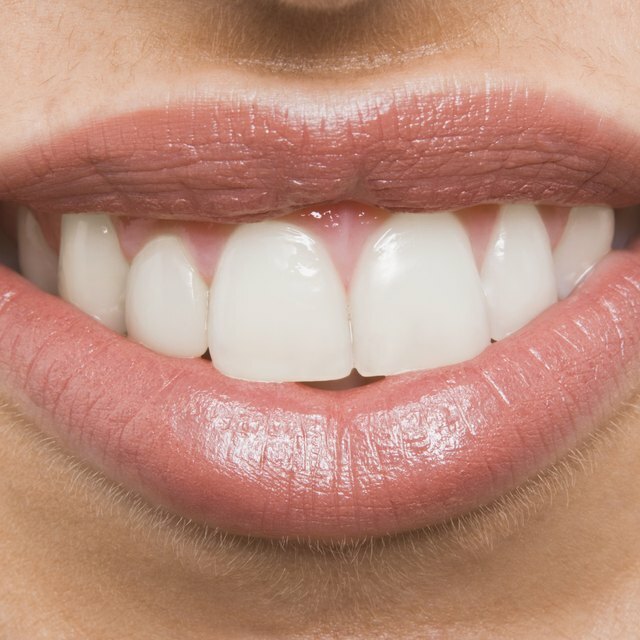 Allure: 5 Ways to Whiten Your Teeth—Fast!